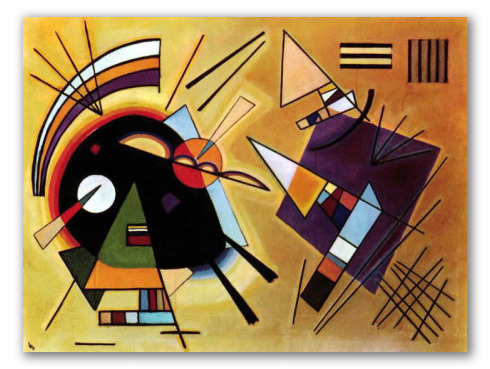 "Black and Violet" by Kandinsky, Oil Painting Collage. 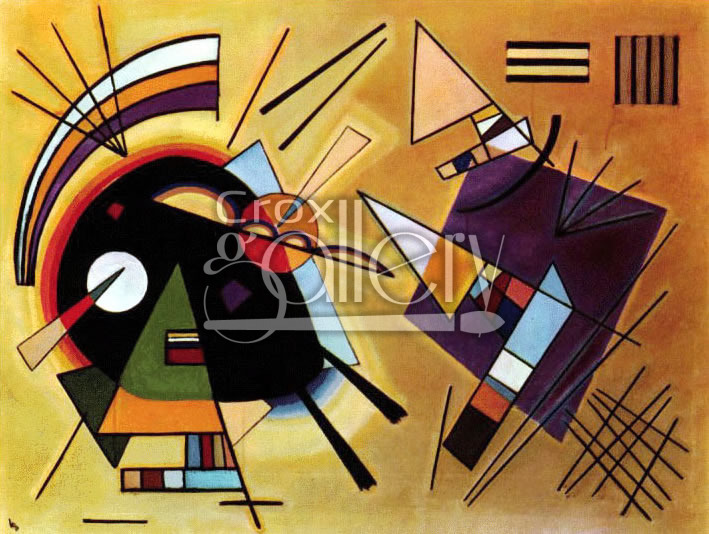 This painting is a special work of art composed by two figures, it was created using mainly the colors black and violet (as the title suggests). The composition is done on a two-dimensional plane, giving the impression of a paper collage.